In coastal area interactions among air, water and soil take place. 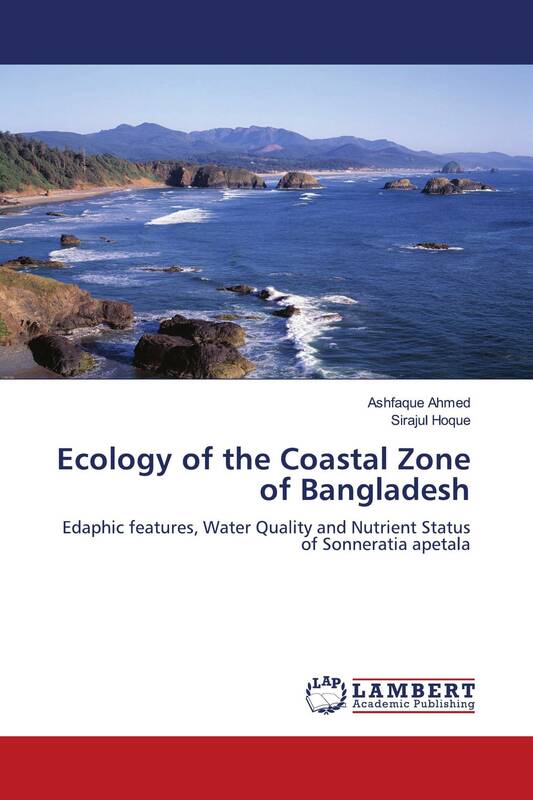 The nature of water and amplitude of the tidal regimes resulted in the poor understanding.The present study focused on a segment of the coastal zone of Bangladesh. Soils collected from the three islands were found to be rather similar as regard to chemical properties, although some variables differed significantly among the islands. No general pattern of significant variation was found location wise. Element concentrations of leaves of Sonneratia apetala showed significant variations among the islands. In most cases, location 2 of the river Buragauranga had higher values of the variables. Among the phytoplankton genera, 8 belong to class Bacillaiophyceae. Dominant phytoplankton was Trachelomonas sp. and was found in all three locations. Phytoplankton diversity was high in location 2. Principal component analysis (PCA) showed that Trachelomonas sp. has negative significant correlation with principal component one but have positive relation with Coscinodiscus sp. This book will help in understanding the coastal zone as holistic approaches have been taken and help in conservation and management of coastal resources.